Over 100 youth participated in typical camp activities throughout the week like swimming, boating, field games, and art, along with campfires and cabin activities. You would be amazed at how these were all geared to the circus theme. Some of the daily bible stories talked about Queen Esther, Daniel and the Lion's Den, and Jesus' Healing of the Blind Man. They taught us to trust God, that prayer helps us hold fast to God, and that God calls us through our imperfections and unusual gifts. Inviting God to be our ringmaster and putting our "whole selves in" was really what it was all about. There were many highlights of the week. We had a visit from Professor Steve (http://waldotheclown.com), who taught us about the science of the circus, how to make cotton candy, walk a tight rope, and even the unsavory origins of pink lemonade! We held a carnival night - complete with a dunk tank, a strong man sledge hammer, frog fling, face painting, ring toss, and bobbling for apples. We even had a custom-made escape room experience that blended historical fact, pop culture, and our imaginations to solve the mystery of Barnum and Bailey's in an hour-long team building activity. 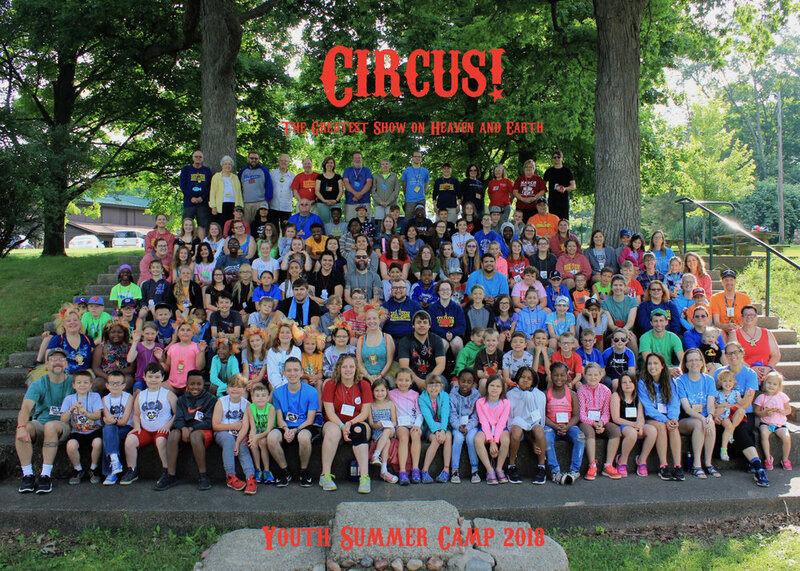 Dates for next year are still in the works, but check back at the website listed above periodically for how you can be a part of next year's youth summer camp!